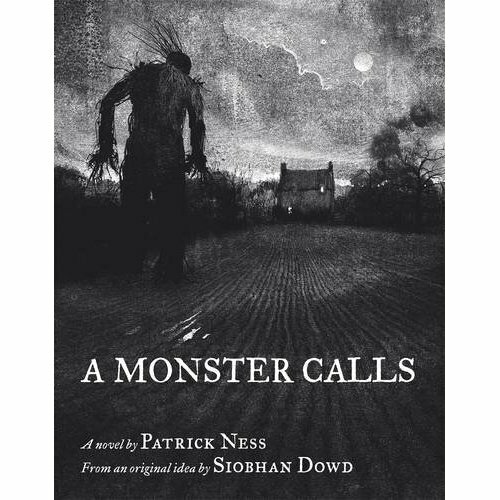 Costa Award winner Patrick Ness spins a tale from the final idea of much-loved Carnegie Medal winner Siobhan Dowd, whose premature death from cancer prevented her from writing it herself. 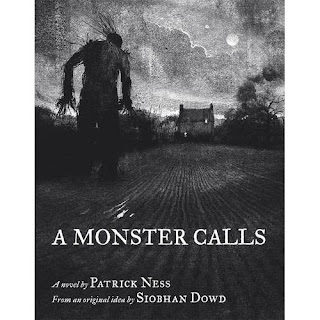 Darkly mischievous and painfully funny, "A Monster Calls" is an extraordinarily moving novel of coming to terms with loss from two of our finest writers for young adults. I for one am really looking forward to reading this. I have been warned though, to have tissues at hand!! It's a completely different style of book from what we have had so far, I think that the change of pace will be good. I'm sure it will give us loads to talk about! We will be meeting at 7pm in the Costa Coffee behind the Bluewater Waterstones store on Thursday 13th September. Feel free to come along and join us :D We always welcome new faces, and yes there will be some kind of confectionery goodness!! Actually if any of our regular members would like to volunteer their baking skills then leave a comment to let me know.